Does your website deliver? 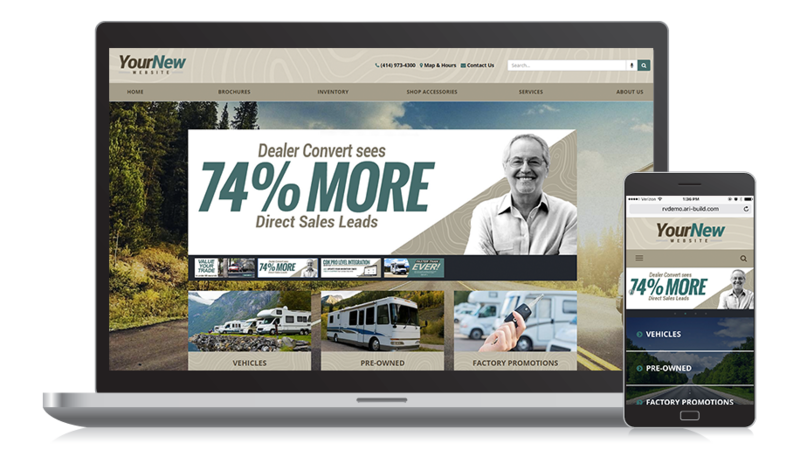 Built exclusively for RV dealers, ARI Dealer Websites generate more traffic, leads and sales than any other website solution on the market. 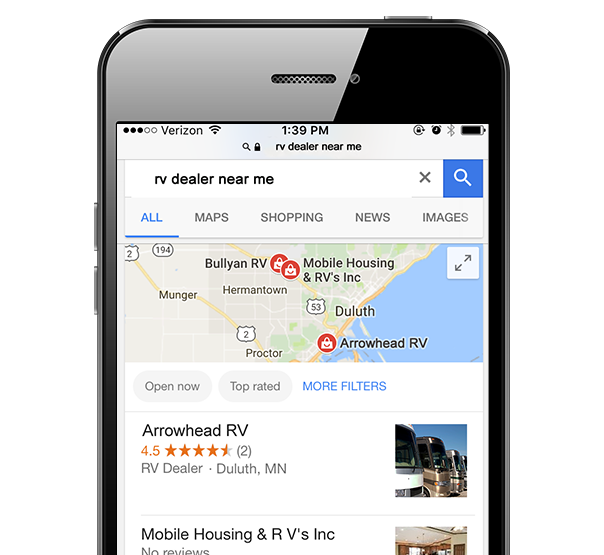 One dealer who recently migrated to the ARI Dealer Website platform saw an impressive 74% increase in direct sales leads. ARI connects with over 195 distributors, 120+ OEMs, 1,400+ aftermarket manufacturers and 90 integration partners worldwide. I would definitely recommend ARI. My account manager is great. He’s always available to help, and he’s even helping us dig into our Google Analytics … We’ve definitely gotten a fair amount of leads, and we’ve got great visitor numbers.